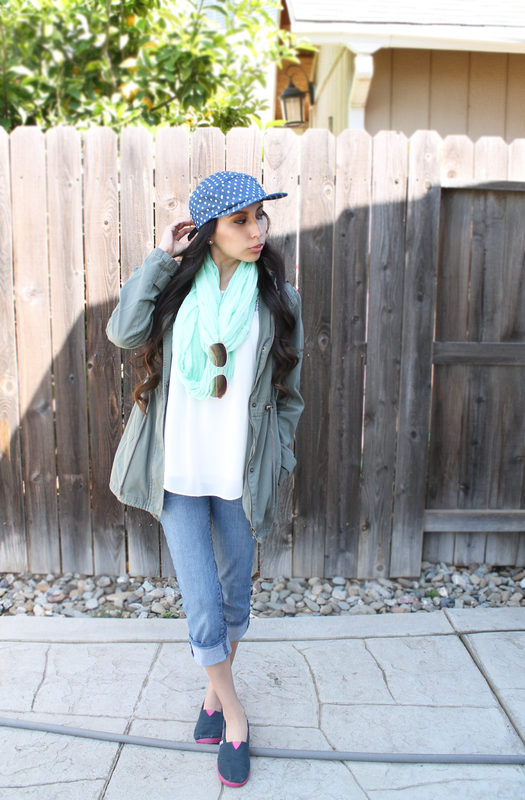 Yesterday's OOTD was spring beach inspired. 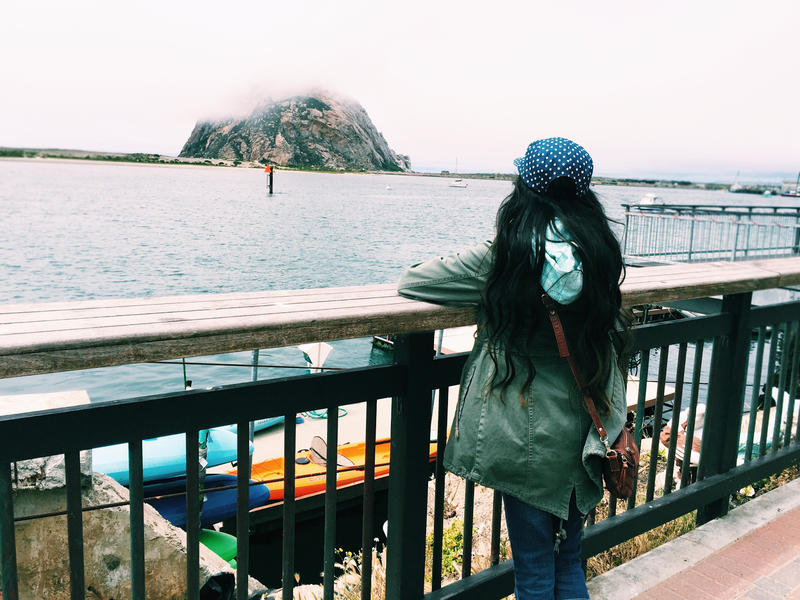 I visited Morro Bay, CA and Carmel, CA. 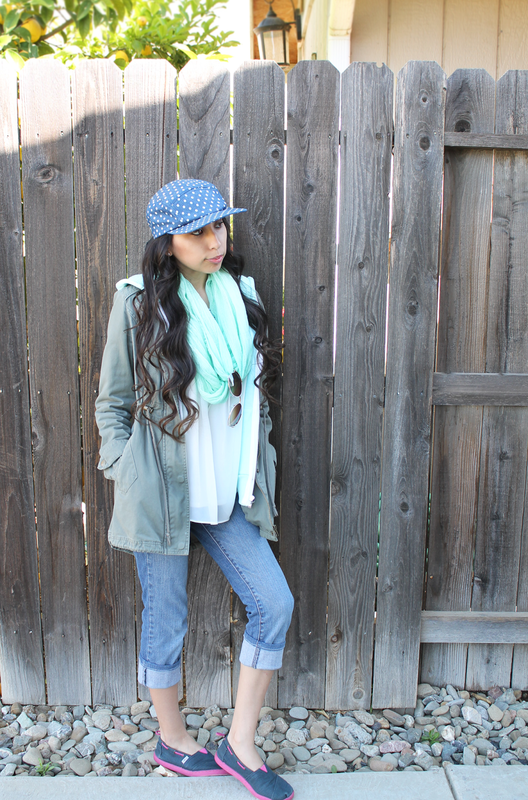 Both were chilly, so I had to layer up. 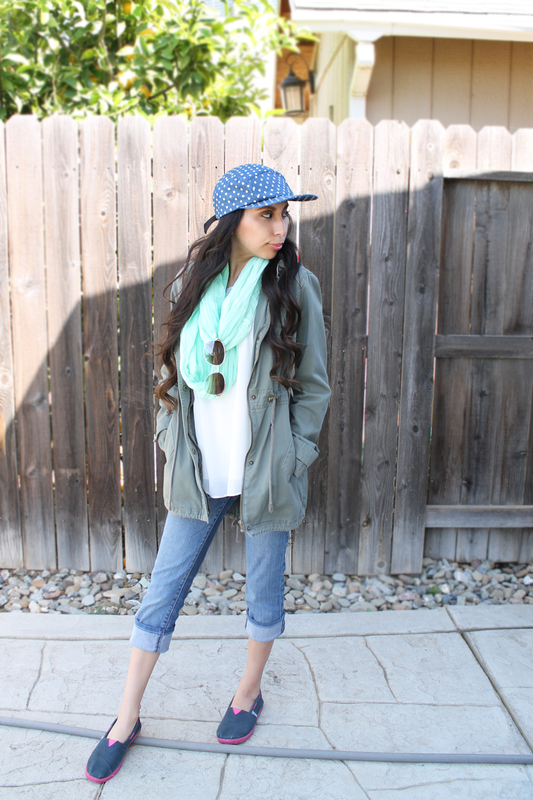 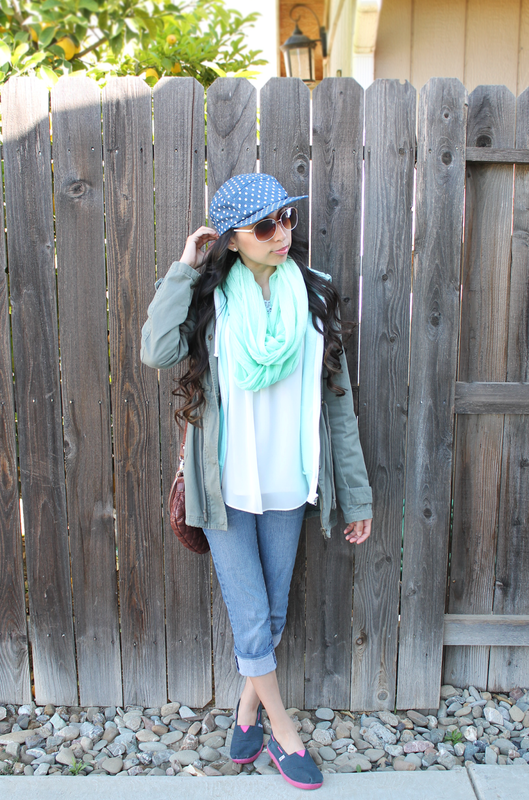 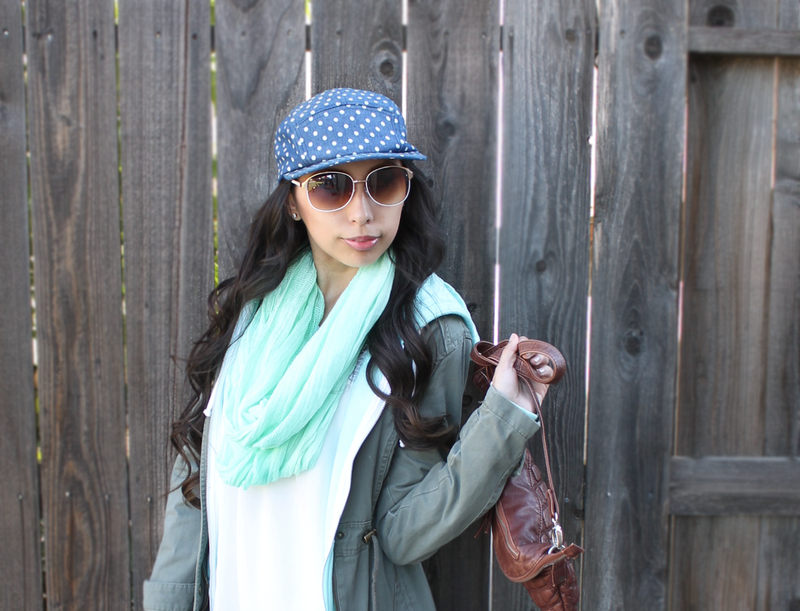 I went for spring colors (mint, denim, and white), so my layers wouldn't look fall/winter inspired. 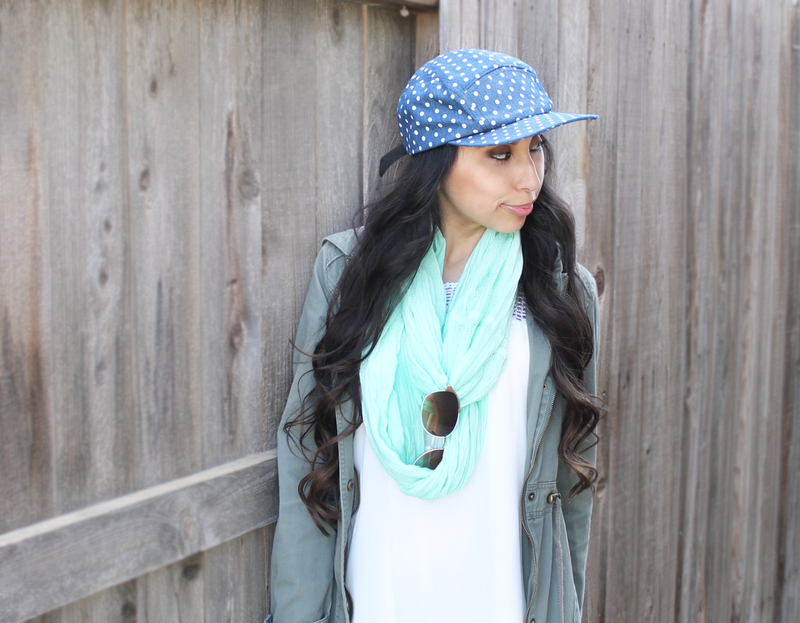 :) I don't usually wear hats, but I decided to go for it yesterday since the beach is always windy.